Mike, Thank you for taking a lot of time out of your busy day to talk with me, educate me, and share your community with me as well. You have certainly sold me on Van Zandt County. When I walked into your office I wasn't expecting to be treated as family or an old lost friend. I will keep you in mind for all of my real estate needs. Thanks again and I look forward to talking with you soon. David C.
Michael was tireless in looking for the right land for us. We first thought we wanted to find a home, on land, with very specific requirements. Michael went above and beyond trying to find us the perfect place. Once we switched gears to look for land and build, he found the perfect location. 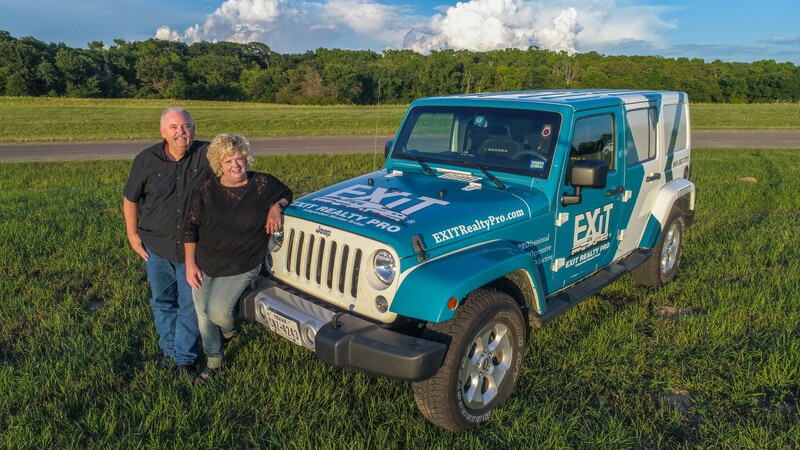 If you want a professional realtor that will listen to your real estate needs and work with you to find what you're looking for, call Michael Crumpler with Exit Realty. Danielle is super knowledgeable about the entire buying and selling process from start to finish. Working with her made our experience seamless and easy. She will work hard for you to get the price you want/need and was always responsive to my mountain of questions! I would definitely recommend her to any friends or family looking for a personal agent. You will not be disappointed!